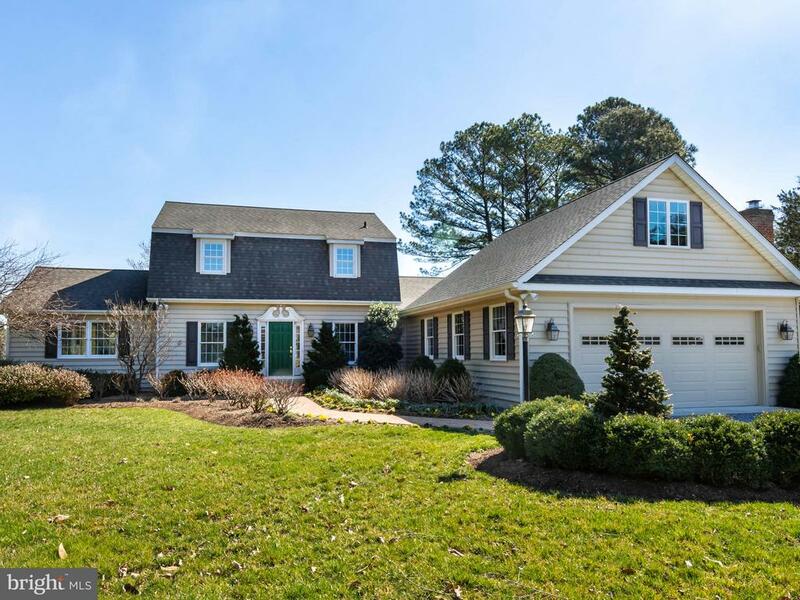 All Oxford homes currently listed for sale in Oxford as of 04/23/2019 are shown below. You can change the search criteria at any time by pressing the 'Change Search' button below. If you have any questions or you would like more information about any Oxford homes for sale or other Oxford real estate, please contact us and one of our knowledgeable Oxford REALTORS® would be pleased to assist you. "Located on the still waters of Town Creek in Oxford, Plimhimmon represents two distinct building periods dating from the late 18th and late 19th centuries, the oldest section being erected around 1767. 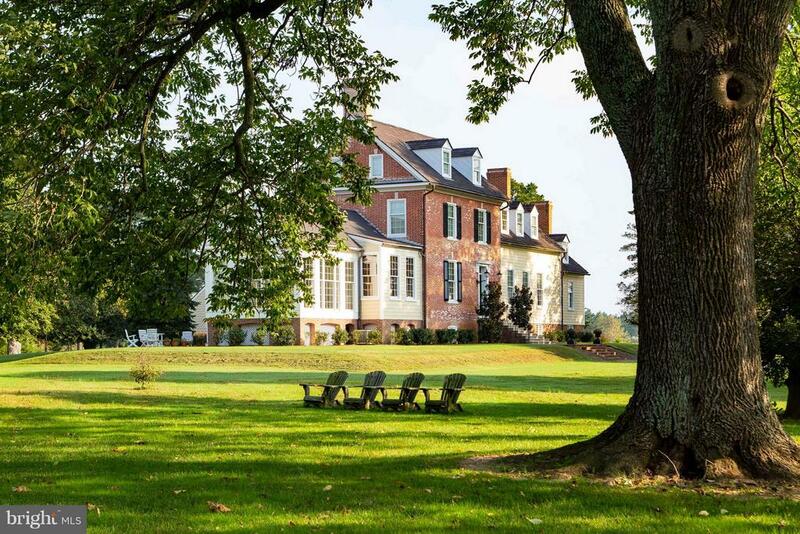 A true gentleman~s farm, the current owners of this two-story home have set the standard for an historic restoration with painstaking detail in restoring the Georgian and Federal features. Incorporating old world craftsmanship, the manor has been brought to modern standards with such improvements as geothermal heating and cooling, elevator service from the basement through the second floor and amenities expected of the waterfront estate market. 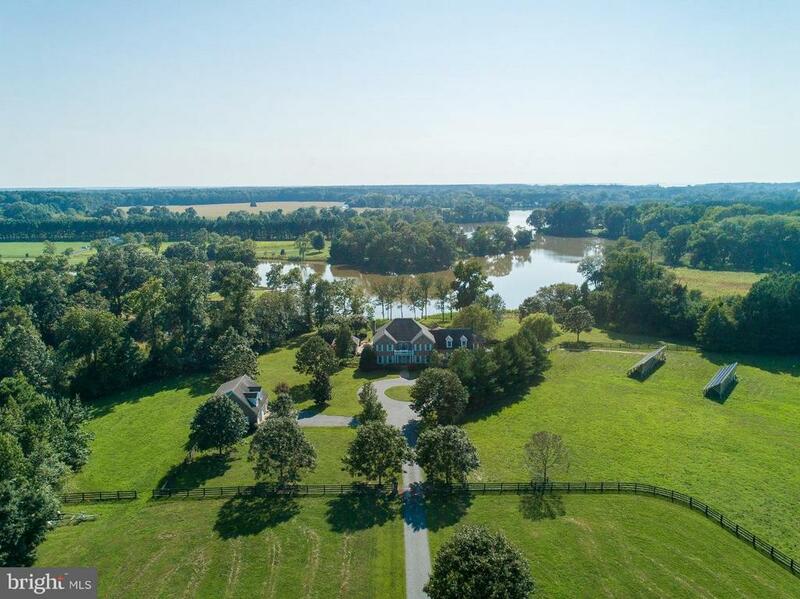 Sure to please the discerning buyer, Plimhimmon is one of a kind and an irreplaceable cornerstone of Talbot County~s History.Quietly sited on 200 acres at the head of Town Creek, the farm has a dock with approximately four feet of water at mean low tide. Statement trees and an appropriate blend of native landscaping and agriculture set the stage for country living. A waterside guest cottage is sited nearby offering those amenities for extended family and service help if needed. An apartment over the garage, a carriage house renovated to provide studio / office accommodations and a generously proportioned barn compliment the farm providing adequate facilities for the hobby enthusiast and outdoorsman alike.Wildlife and waterfowl abound among this historic staging area. Long respected for migratory waterfowl, this area is known for epic numbers of migrating Canada geese and the natural shorelines provide extensive habitat for shorebirds and ducks. Shoreline buffers and restored wetlands provide a haven for many species of upland game as well as a fifty acre wooded parcel offering a host of opportunities for the naturalist.Located just outside of Oxford, Plimhimmon is twelve miles from Easton / Newnam Field, providing jet service and facilities adequate for private aviation. 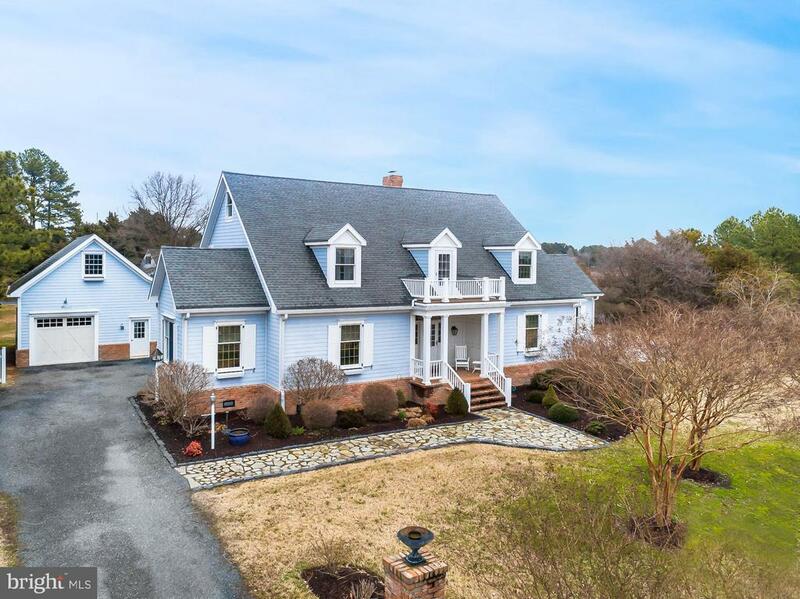 BWI is within an hour and a half as well as Reag"
"Just outside of Oxford, MD this new offering is an architectural masterpiece showcasing the finest craftsmanship and construction materials in a tidewater setting that is sure to please. Set on a four acre parcel with southern exposure overlooking Cemetery Cove on Town Creek the waters of this property host an abundance of migratory waterfowl, osprey and heron. With over 1,200 feet of waterfront, secured where necessary with stone revetment, the property is improved by a dock with a 10,000 lb boat lift. Across the creek in Oxford are several first class marina facilities adequate for large yachts and sailboats. There is a short boat ride to restaurants, the ice cream parlor and nearby Tred Avon Yacht Club, host to competitive racing and World Champion events. The residence and its' surrounds are stated elegance. Perennial flower beds, pool with fountains, screened gazebo, blue stone and brick patios and terrace all join in an inviting and bucolic setting. Seen in the photos, this back yard is conducive to entertaining or quietly enjoying nature's wonder. The house was designed and thoughtfully built with convenience in mind for first floor living while providing ample opportunity to host guests and family alike. There are three guest rooms with baths en-suite on the second floor. The first two are above the centerline of the home off the foyer stair case with a sitting area / study. The third bedroom / bath suite is located off a second stair case near the kitchen / family room with its own studio, office and storage. And a third stair case adjacent to the master suite provides access to another large office / studio as well as additional storage. On the first floor the foyer sets the tone with significant architectural features evident in the crown moldings and detailed millwork. This home exudes quality craftsmanship in every detail. The hidden panel interior shutters in the living room, the radiant floor heating in the solarium, the reclaimed timbe"
"Practically an island located where Choptank and Tred Avon Rivers enter Chesapeake Bay. 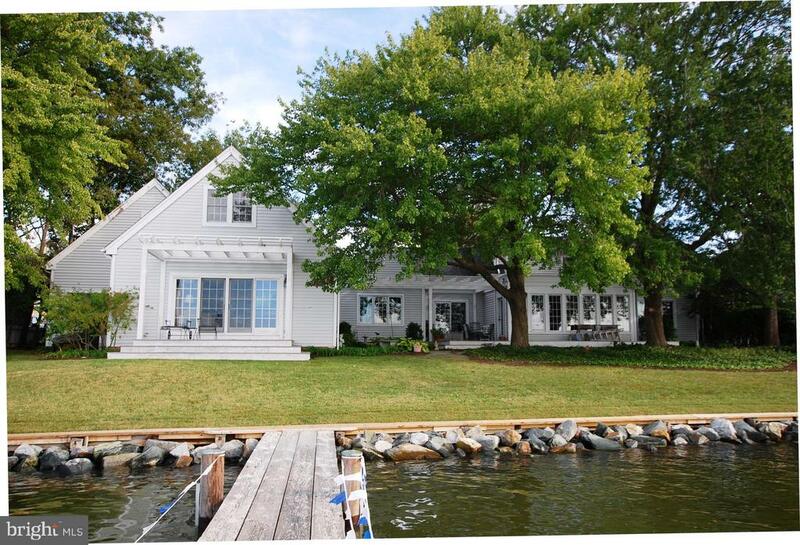 Big 180 degree water views with 660 ft. of riverfront and tidal sandy beach. Great terraces, rolling lawn, private dock, and above rip-rap sandy beach with firepit for entertaining and enjoying gorgeous year-round sunsets and summer sail races. Big sky and adjacent open land maximize space and privacy." 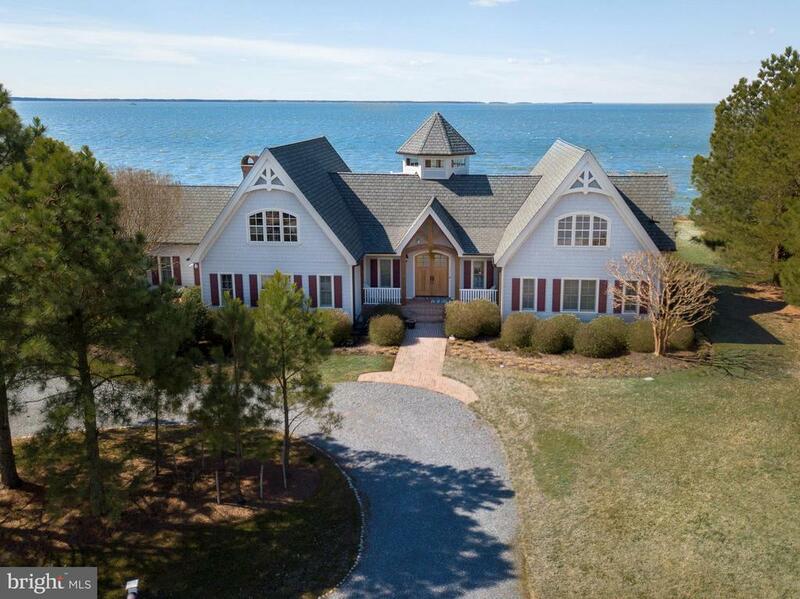 "Located at Bachelors Point, a coveted residential enclave in Oxford Maryland, this craftsman style home boasts cathedral ceilings with immense windows capturing endless views across the Choptank and Tred Avon Rivers. Built in 2005, the architecture compliments a maritime atmosphere with old world charm while harnessing modern amenities and features including geothermal heating and high efficiency construction. The structure is engineered to the highest standards with quality throughout. An informal and open floorplan draws attention to the water where wintering waterfowl gather and maritime activity provides year round enjoyment. The house has a first floor master and guest suite along with two guest rooms on the second floor, a music room / loft, large study with bath that could account for bedroom number five. Wine storage, workshop, home office, patio and terrace with a gazebo. This property is sure to please the avid yacht owner. The property conveys with a deeded deep water slip in Bachelor Point Harbor on the private homeowners side of the basin. The marina, Campbells Bachelor Point https://www.campbellsboatyards.com/bachelor-point/ is a premier yachting haven for quality craftsmanship and year round yacht service. It is a quiet basin without transient fuel service so the traffic is limited to slip holders. 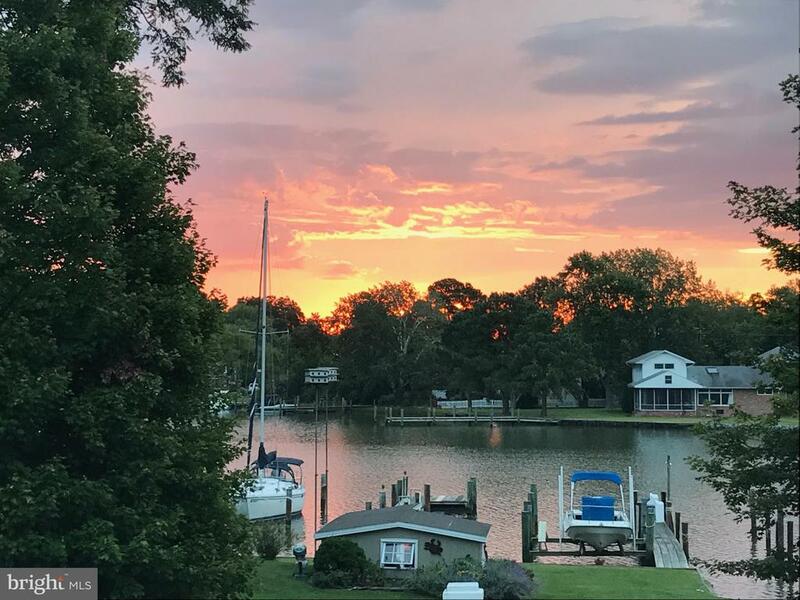 With this location at the confluence of the Tred Avon and Choptank Rivers, yachting enthusiasts are minutes away from open waters for sailing and nearby fishing grounds. Annapolis is located 30 miles away by water and Easton is just 10 miles by land. 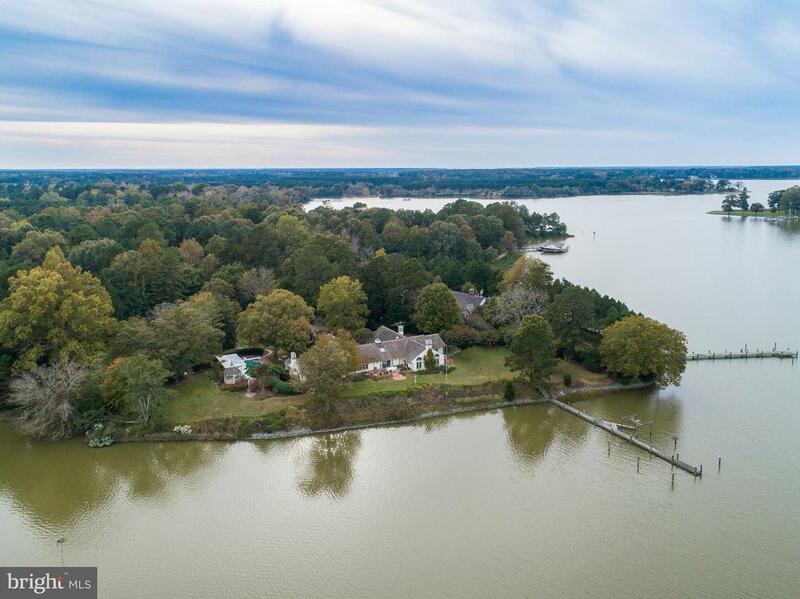 With the restaurants and community of Oxford, the wide open water presence in your back yard and a first class yacht harbor, this offering is sure to please the discerning buyer. Newly offered and available upon appointment." "From the Smallbone kitchen to the Waterworks bath fittings, this stunning home has both formal and comfortable features.~ From the 17th Century limestone fireplace from the Bordeaux Region in France to the inclusion of the Golf cart for the short trip to the Deep water Boat Slip in one of the finest Marinas on the Chesapeake Bay, this property is exciting, beautiful, and unique.~ It has comfortable rooms with fireplaces, Master Suite with Library including an enormous room with California Closets, 18~x 60~ swimming pool, very private guest quarters, even a dog shower in the 2 -car garage. The owners thought through every room and detail when they renovated, taking the home from a casual second home to a year round relaxing home in Oxford." 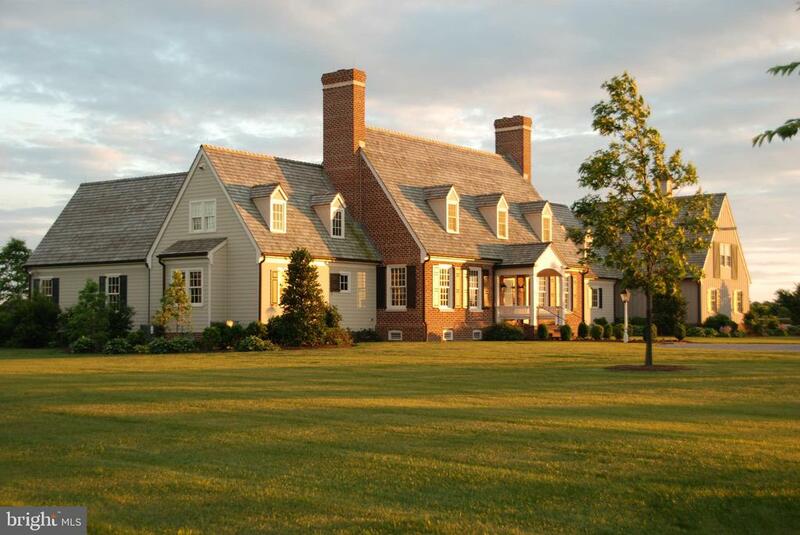 "Stillwater Farm- 44 acre waterfront estate on Island Creek. 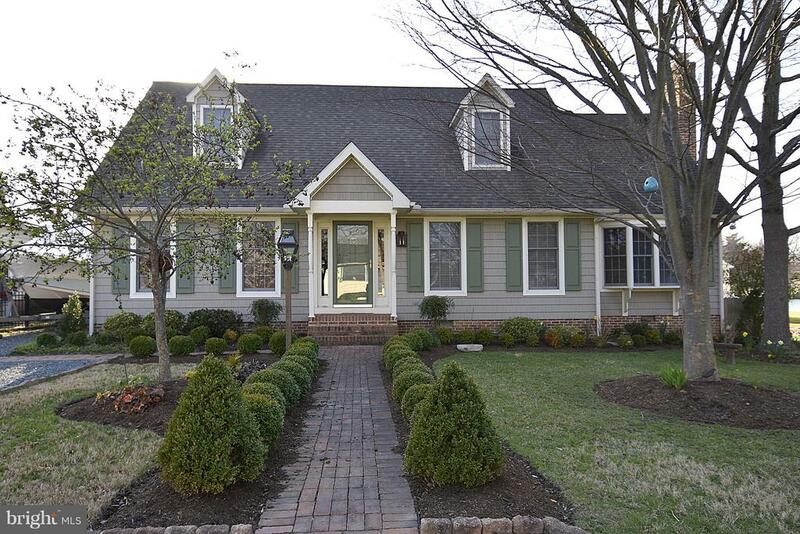 6,000+/- sf Brick Colonial offering 5 BRs including main level master w/indoor therapy pool. 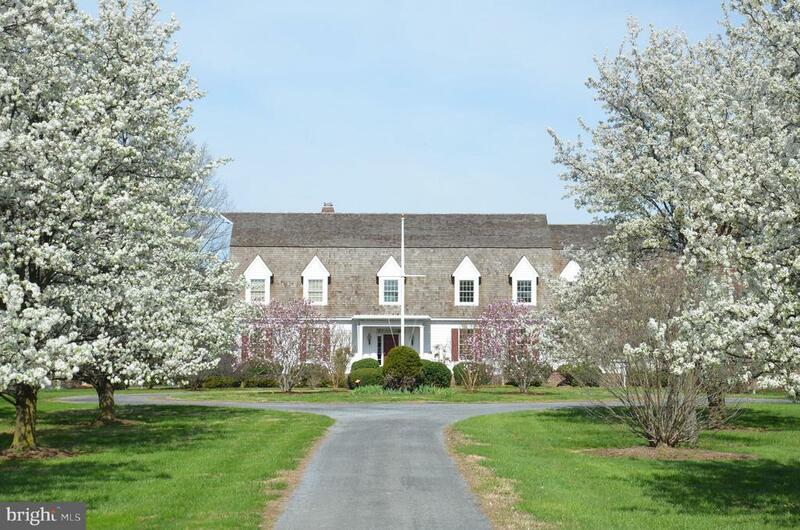 Detached guest house, pool house, horse barn w/4 stalls & run-in shed, waterside pool, dock w/lift & 2'+/- MLW. Fantastic hunting opportunities. 92 solar panels & battery back-up system." "Beautiful 7,500 sq. ft. waterfront home overlooking Island Creek offers deep water pier, in-ground waterside pool with pergola, large rear deck, bright open floor plan, fabulous river room with broad views, top of the line kitchen with Viking stainless steel appliances, four fireplaces, hardwood floors, first and second floor master suites, second floor family room with built-ins and separate 2 bedroom guest house with balcony, game room, covered patio, kitchen, dining area and living room. ( Furnishing negotiable in guest house ) Detached 2.5 car garage. Only minutes to Oxford & Easton. This private paradise is a rare find! Also available for rent MDTA132688." "Stunning Trippe Creek waterfront property located in a gated community off the desirable Oxford corridor. Quality abounds in this renovated one-level home including Pella windows and doors throughout, 3 gas log fireplaces, handsome millwork, pegged oak floors, and custom artist commissioned stained glass. Grand living space with the heart of the home in the spacious eat-in Chef~s kitchen overlooking the water, stunning formal living and dining rooms with water views, light filled waterside sunroom, and fabulous river room boasting gas fireplace with stacked stone hearth, vaulted and beamed ceiling, and wall of built-in book cases. Spacious master suite with his and hers bathrooms, 2 walk-in closets and access to waterside private patio, plus 3 additional bedrooms, including one with ensuite bath. Enjoy a gorgeous in-ground pool with 2 pergolas, gazebo, and patio. Deep water pier with 4 slips, 7~ +/- MLW and electric, 494' +/- waterfrontage and rip-rap. 2-car attached garage with 2nd floor storage rooms. All of this and more!" "Spectacular Coastal home with finished lower level and walk-out to the spacious waterfront and terrace. Expert workmanship in this Acorn constructed home. The open floor plan is perfect for entertaining family and friends. Magnificent master suite with spa-like bath and heated floor. Large 25x12 walk in closet. Waterviews from most rooms leave you breathless.. Watch eagles soar and wildlife explore the peaceful waterfront. There is a private dock with 2 slips. The entrance is grand with paved driveway and three-car garage. The lower level would make lovely guest quarters or in-law suite. Substantially more square footage than tax records indicate. A truly lovely property and one that you do not want to miss!" "Remarkable Tidewater Colonial located between Easton & Oxford in the waterfront neighborhood of Patrick's Plains. 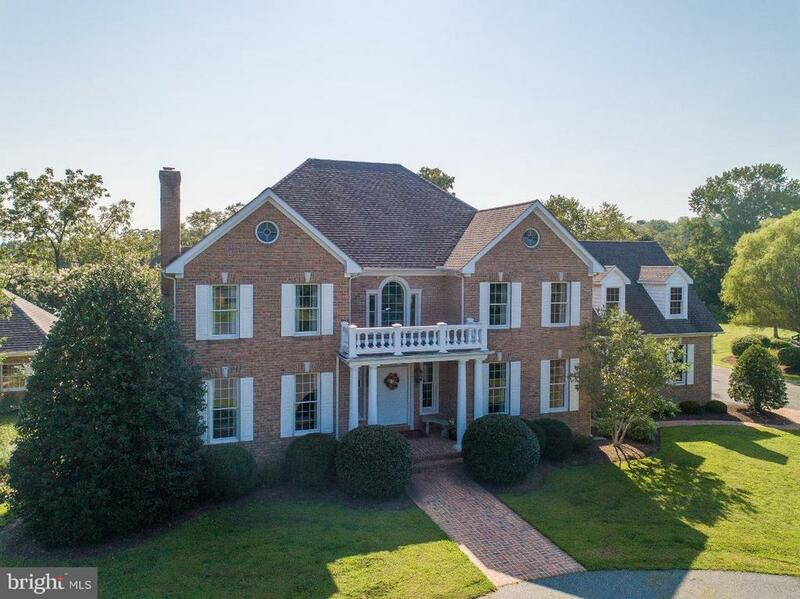 This 5 bedroom, 6 1/2 bath home has a first floor master suite with private screened porch, great room with stone gas fireplace, large waterside deck and screened porch with incredible views. Large waterside pool with pool house, kitchenette & full bath. Beautiful elevated point lot with gorgeous sunset views." "It is the perfect primary or second home. 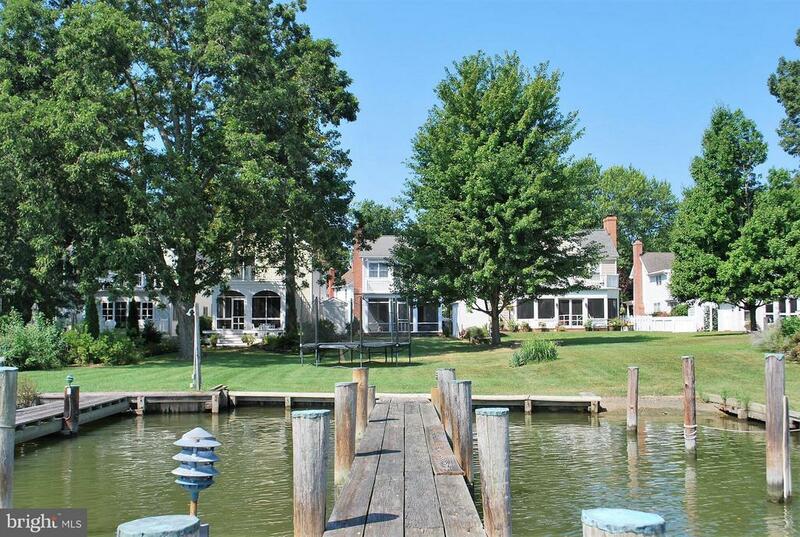 Well built comfortable and beautifully maintained waterfront home on the Tred Avon River. First floor Master Suite, 2 car garage, separate guest suite or office with loft and full bath, 3 additional bedrooms. Entertaining spaces in sun room, living room, dining room and kitchen all with River views. Fireplace in living room and Master sitting room. Hardwood floors throughout. Waterside deck where you can relax and watch the sailboat races or just think about how peaceful this is! Located at the end of the Strand!" "Picturesque Eastern Shore retreat situated on 2.26+/- acres overlooking Bringman's Cove and Island Creek. Superb finishes and touches, chef's kitchen with island is open to family room with cozy fireplace. First floor master suite with luxurious bath. Waterfront deck and gunite pool offer plenty of outdoor enjoyment. 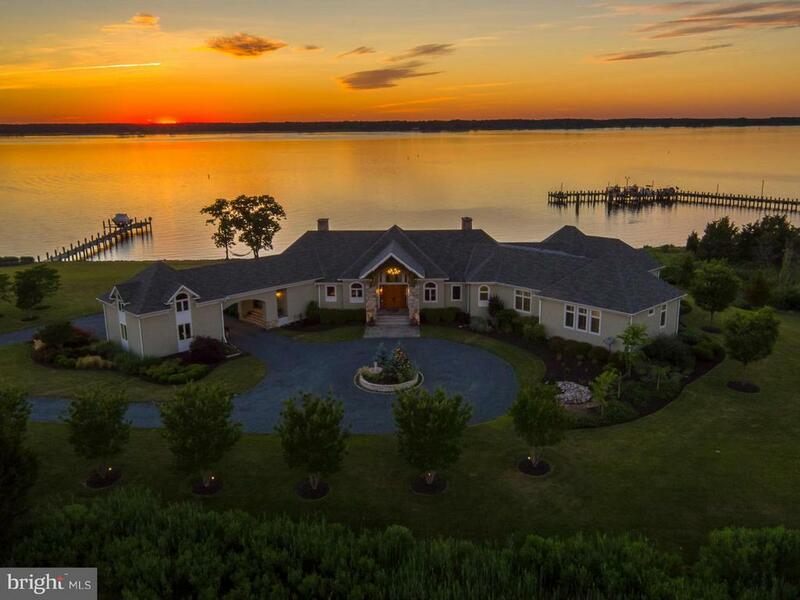 Rip rap, 220'+/- of waterfront , private pier with 2 boat lifts and 6'+/-MLW." "Lovely custom-built home located off of a quiet cul de sac in Oxford. Home features expansive rooms, beautiful hardwood floors, high ceilings and double crown moldings, with a great floor plan for entertaining. Gather round the in-ground gunite pool or enjoy the deeded deep water boat slip in a private marina with tremendous views of the Tred Avon. 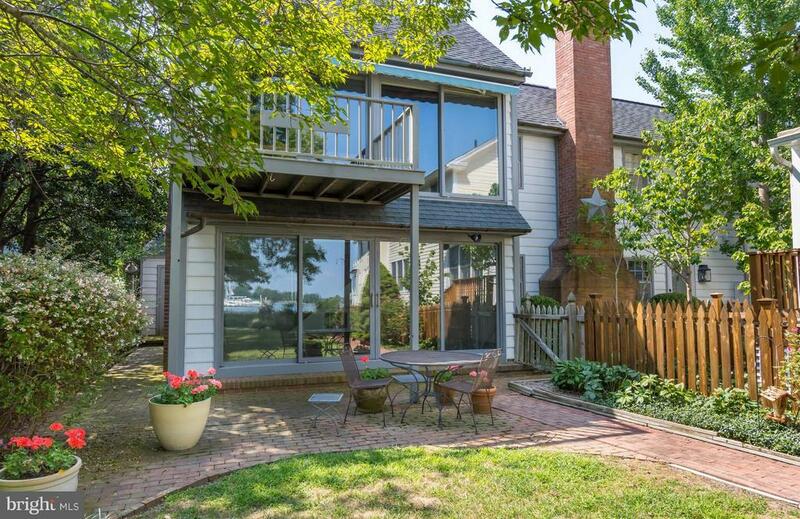 Property borders on a tidal pond and offers views of the Choptank River." "Productive grain and excellent hunting farm located on the corner of Rt. 333 and Boone Creek Road. 1 mile from Oxford and 9 miles from Easton. 1 perc site approved. Well and electric for water control for 2 acre impoundment. Approximately 2,200 ' of road frontage." 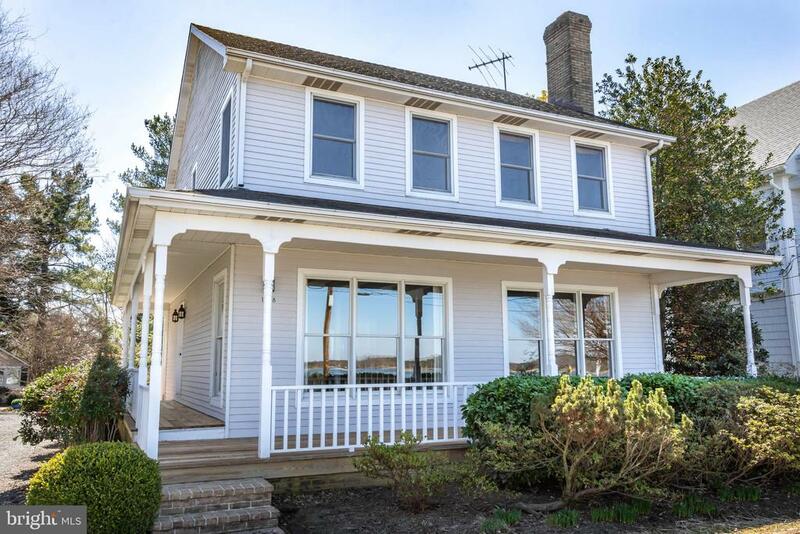 "Great care went into the recent renovations in this 1920s 4 bedroom, 3 ~ bath waterfront home on the Tred Avon River. Gourmet kitchen, renovated bathrooms, newly painted throughout, ensuite Master with new waterside deck, and original wood floors are only a few of the many features. Watch sunsets and sailboat races from the dock!" "Beautiful waterfront home set on 2 waterfront lots.2 docks one with boat lift. 2 fireplaces (1 woodburning and 1 propane gas) kitchen with granite and high end appliances. Hardwood floors, waterside screened porch.Boat lift. Jet ski dock excluded." "Completely renovated and meticulously maintained 4 BDR, 4.5 BTH Cape on Town Creek. Interior features exotic wood floors, multiple dining areas, gourmet kitchen, living room w/ fireplace, sun room, screen porch with mahogany floors,vaulted ceiling and study w/ full bath and built in wet bar. This study could also serve as another master suite with private access to screened in porch. There are multiple masters one featuring a large deck with beautiful views of Town Creek. Deep water dock, rip rapped shoreline, storage shed and close to Oxford amenities." "The Academy House, also known as the Bratt Mansion. The home was built around 1850. This impressive two-story hip roofed house is one of the most prominent dwellings on Morris St. The current owner saw the home as a perfect showcase for his many art, rug and scrimshaw collections. The property which has been lovingly cared for is now being offered for the first time in more than 20 years." 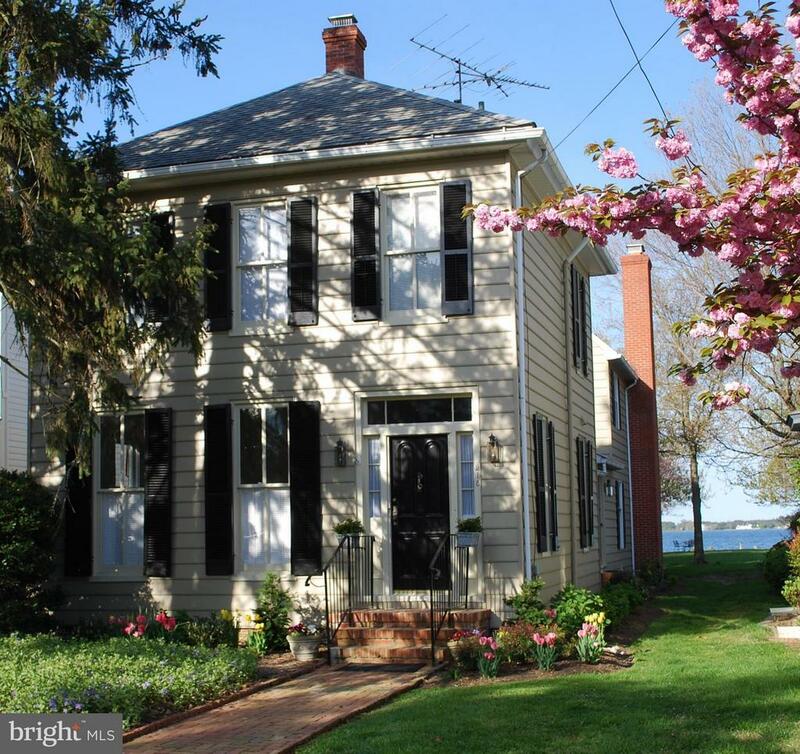 "Oxford Historic District Waterfront- Classic Foursquare house (c 1915). First Time offered in 45 years! Featuring 4 bedrooms, 2 1/2 baths, hardwood floors, 2 fireplaces, open kitchen /family room, formal Living & Dining room & office. Screened in back porch, patio, detached 1 car garage with shop, walk up attic and partial basement. Mature landscaping. 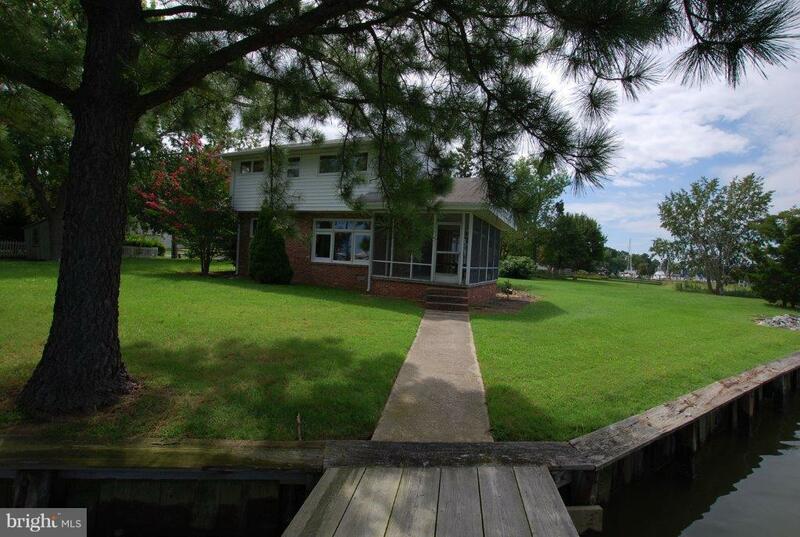 Long private rear yard, rip- rapped shoreline, 65+' on the Tred Avon with broad water views. Listing Agent related to Owner." "Rare Town Creek, Historic District, Oxford waterfront. 7' +/- of water at the dock. 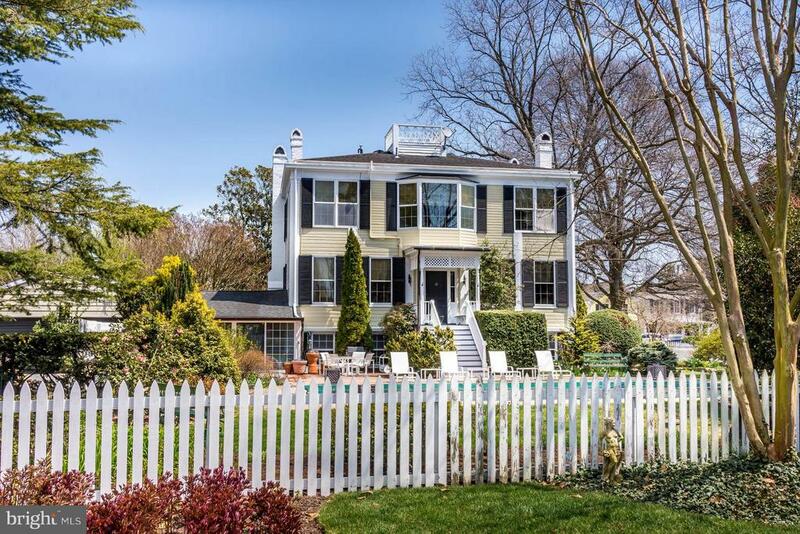 This home, circa 1850, has been lovingly maintained and updated. Three bedrooms, four baths and den with a vaulted ceiling. Private rear yard with views over gardens and Town Creek. Two car garage and workshop round out a unique Oxford property." 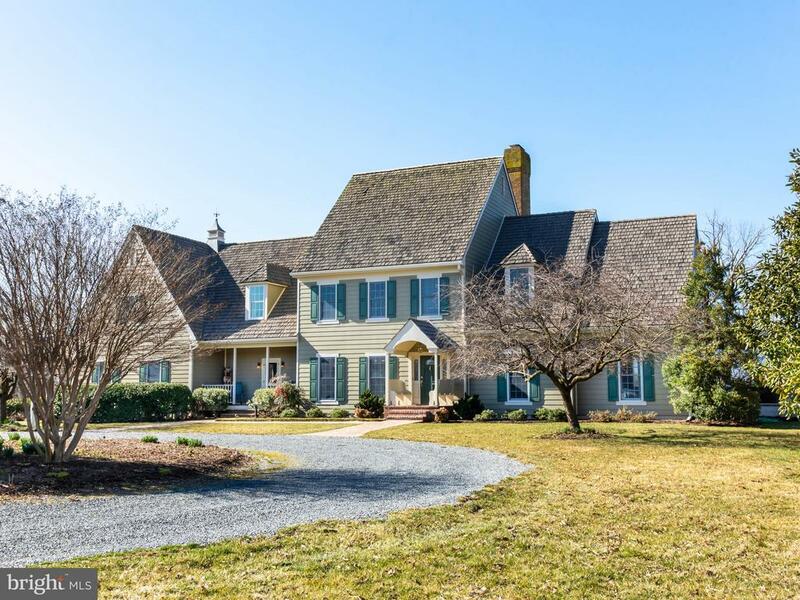 "NEW LISTING offering INCREDIBLE BROAD WATERVIEWS of the Tred Avon River on ~The Strand~ in historic Oxford, Maryland. Check out the reflections of the river in the main photo! This is a highly desirable location with good elevation close to all of Oxford~s downtown amenities. *** Home built in 1983 with quality finishes and manageable 2000+/- fsf. Wrap around wide front waterside porch, gravel drive to ample back parking and 1 car detached garage with room for shop/storage. *** First floor has open floorplan including modern kitchen with island and breakfast area plus large 28 x 17 great room with huge fireplace, built-ins, beamed ceiling & wall of glass views of the Tred Avon River. Also separate laundry, large pantry & half bath. *** Upstairs there are 3 bedrooms all with private baths ensuite. Detached oversized 1 car garage and lots of parking. Welcome to the best of the Eastern Shore!" "Beautiful, serene Oxford, MD. 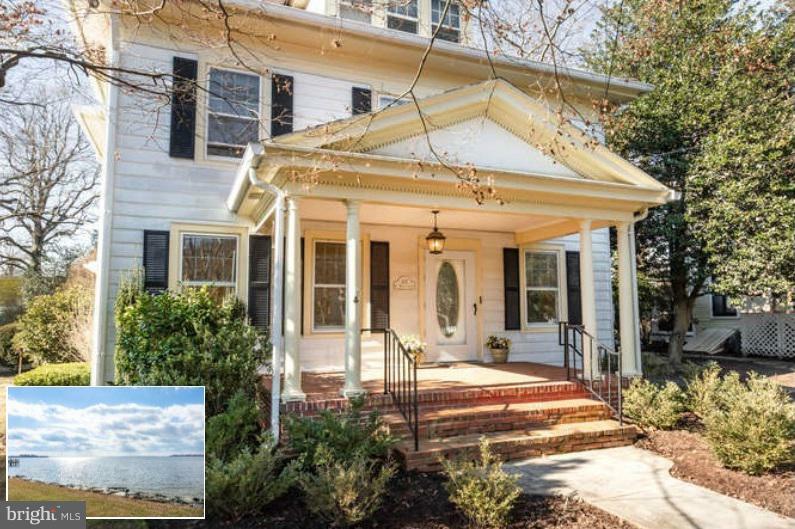 Lovely opportunity to own a classic remodeled Colonial in the town on the waterfront. Lovely wood floors, remodeled kitchen with stainless. Front and waterside porches. Two staircases to second level. Off street parking. wonderful second story deck off the master bedroom. Your own private pier. A great value." "Extraordinary. +/- 36,000 sq ft waterfront lot on Town Creek offering protected 60' dock with +/- 5' water depth. 3 bedroom 1960's brick home perfect for architect to redesign & renovate. 2 car garage."